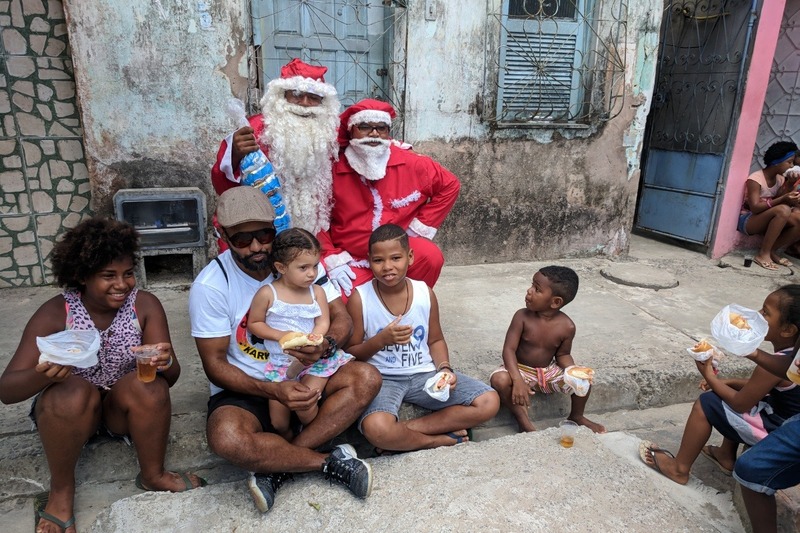 The Capoeira Cultural Arts Foundation (501(c)3 Non-Profit) is holding a Car Wash Fundraiser to support the Capoeira Karkara community in Salvador, Bahia, Brazil by providing a batizado for their students, food and toys for christmas to families in dire need, and much needed renovations to their capoeira training facility. This initiative began when Mestre Betinho decided to follow the strong calling he felt in his heart to give back to the capoeira community that helped him when he was a young boy to lead him in the direction of freedom and success that he now enjoys and does not take for granted. 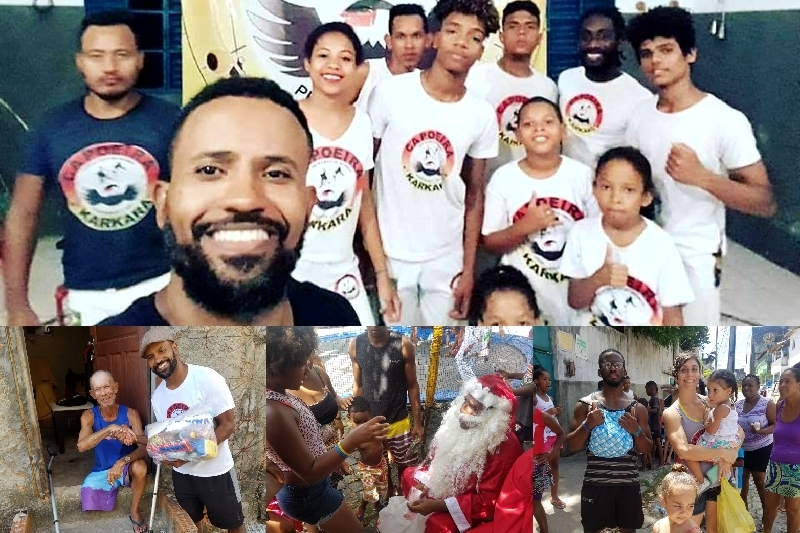 Many people know that Bahia is the “hotbed” of capoeira and not only is it important to support the cultural art form that is capoeira, it is more important to give back to the community that gave so much when it had so little. Mestre Betinho grew up in Bahia in a very impoverished town. We have all heard the stories of what it was like to wonder where your next meal was coming from or if it was coming at all. These people truly live that reality. This December and Holiday Season we are not only looking to support the Bahia Group once again by aiding in providing a Batizado Celebration, instruments, shirts and food for guest mestres, and much needed and important renovations to their academy and training space, but we are also providing meals and food to those in severe need and gifts to children that without our help would not receive any this year. Our goal is to help more and more people each year, and that is only possible with your help! Simply make a donation in the amount of your choice. For each $10 you donate gets you one Car Wash Ticket! You can gift all your friends and family who are near Boynton with a car wash for the holidays! All proceeds gained will go directly to the efforts in Bahia, Brazil! If you live near Boynton Beach and would like to come get your car/s washed please come out!! When is the Car Wash? Saturday December 15th at 9:00 am! I am not interested in getting my car washed, how else can I help? Donate, Share, and Like this gofundme. Truly any support helps us toward our goals. We are so thankful for all that we have and only wish we could give more of ourselves to support this endeavor. Aside from good karma and just generally being an awesome person, what does this get me? Our students are selling tickets person to person, door to door, whoever sells 10 or more tickets will receive a Capoeira Shirt and the person who sells the most will receive a Berimbau from Mestre Betinho (and I promise you he only has the best Berimbaus). We would love to be able to provide some donated gifts and much needed items to the children for Christmas, and hand deliver non-perishable staple food items to the homes of families who are particularly in need (terminal illness, severe deformities, etc) so that they can enjoy a holiday meal. This will be our second year to bring this type of aid to this community and the difference we made in the lives of so many last year with the donations we received was nothing short of remarkable, and we would like to help even more people this year if possible. In addition we would like your support to be able to expand our current capoeira training location. Currently our group is training out of an abandoned community center. They have been granted permission to continue occupying this space however the room does not allow for more than a few people to attend class at once. For our group to grow and have an adequate training space, we are able to “expand” by removing a wall however there is no assistance and all renovations will have to be done by the group, from labor to materials. This project will allow them to continue offering classes to the community in which Mestre Betinho grew up in. - Sponsoring a student who would otherwise not be able to participate and graduate to the next cord level at the event. All your donations for this event will be collected on behalf of CCAF. 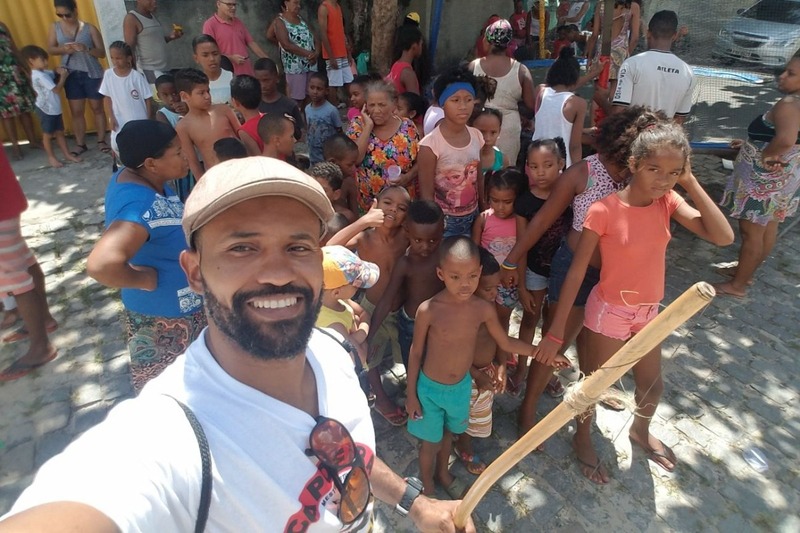 The purpose of the Capoeira Cultural Arts Foundation is to fund raise for educational and cultural programming, outreach and scholarships for Capoeira Karkara domestically as well as in Mestre Betinho’s hometown community in Bahia, Brazil. We thank you in your advance for your support that will provide such a special and potentially life-changing opportunity for so many children and families in need. We thank you for your support and efforts toward helping us achieve these goals. We appreciate all the support we have received thus far! This Saturday is the actual Car Wash, so please come out to support the cause and of course the GoFundMe will run beyond the Car Wash and donations will be accepted up until its end. These funds are going to go a long way in Bahia to support the group, children, community, and families! The Car Wash is next weekend and we are still just shy of our goal! Please Share, Donate, and Help us along our way! The time is approaching quickly. Dec. 15th will be here before you know it. We appreciate all the donations we have received but we still need much more. Please donate, share, and comment. Last year it was an amazing experience to be able to give back to the community in Bahia. Such beautiful people appreciating all the little things they were able to receive. With your support we are looking to provide as much as possible this year and bring a much needed light into someones life.